A slide show with narration. King of England 1399 – 1413. Born : April 3, 1367 at Bolingbroke Castle, Lincolnshire. 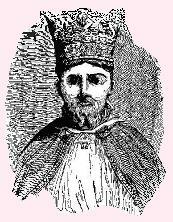 Died : March 20, 1413 at Westminster Abbey, London. Interred : Canterbury Cathedral, Kent. Even though there was little fighting, it's been argued that Henry took the throne in what was battle rights, something William the Conqueror did, apart from claiming his uncle had named him successor, and what Henry VII would later do, claiming the crown in conquest. Henry was exiled by Richard II after a running feud with Thomas Mowbray, Duke of Norfolk. The two men decided to settle their differences in a trial by battle and though a crowd gathered to watch this spectacle, the King intervened. Richard, possibly with the agreement of Henry's father, John of Gaunt, exiled Henry Bolingbroke for a period of 10 years, while Mowbray was exiled for life. John of Gaunt remained faithful to his King and nephew but on his death Richard relinquished on his promise that Henry would inherit, making the Lancaster lands forfeit to the crown. With a challenge to his kingship in Ireland, Richard, along with leading nobles, set sail. Meanwhile, Henry was forming an army and landing in England soon gathered more support. Richard was delayed by storms, and by the time he returned his support had rapidly dwindled. Richard would no doubt have held out at Conwy Castle had it not been for Henry Percy and Thomas Arundel, who offered Richard terms in which he would remain King. Richard agreed but on leaving the castle was seized and arrested. Although Henry had claimed his return was to only take what was his rightful inheritance, leading those who would have supported the king to turn a blind eye, he soon laid claim to the crown through blood rights. This was also cutting out the named heir apparent, but seven-year-old Edmund had little support at the side of the powerful and wealthy Lancastrians. Richard was probably tortured at the Tower of London where he abdicated and was later imprisoned at Pontefract Castle where he was murdered. 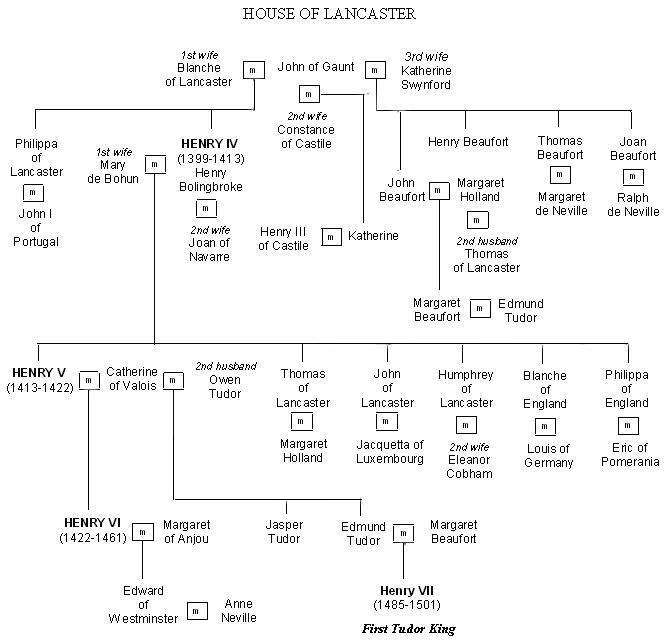 Parliament declared Henry the new King, and so began Lancastrians rule. Of course, once Henry took the crown, as a usurper, it was another thing to keep it. There was also the matter of Richard's death with conflicting tales of Richard having been attacked by several men with swords and axes to being slowly starved to death. Whichever way, both ended with this being done on the orders of Henry IV. Henry Percy's son, nicknamed Hotspur, later challenged the right of Henry's coronation, backing a rival claim in the form of an infant Earl of March, which no doubt, if successful, would have given him power of regency. The later years of Henry's reign was blighted by illness, with a prediction made about him seemingly to go unfulfilled. Henry strongly believed in the prophecy that he would, like his predecessors, take up the banner and set out on one of the many Crusades where he would succeed in taking Jerusalem, and die there. But with those plotting to take the throne of England and the onset of illness, the Crusades took a back seat. While making an offering at the shrine of Edward the Confessor, Henry collapsed and was taken to a room at the Abbot's house. He was urged by his confessor to repent the guilt at usurping the throne but Henry knew this would cause major problems to his son's succession and refused. And so the prophecy in part came true, as slipping in and out of consciousness Henry died in what is called the Jerusalem Chamber. King of England 1413 – 1422. 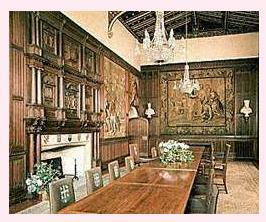 Born : September 16, 1387 at Monmouth Castle, Wales. 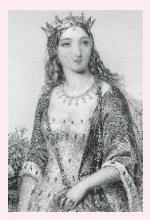 Died : August 31, 1422 at Bois de Vincennes, France. Interred : Westminster Abbey, London. One of Henry's early acts was to have the remains of Richard II removed from King’s Langley and interred at Westminster. There must have been some fond memories of Richard has Henry was 11-years-old on his father succession. Henry V had no easier reign than his father with opposition to his right to rule causing rebellion. In fact, no one was safe as when a friar laid claim that Henry's stepmother, the second wife of Henry IV, had used witchcraft to do the king harm, Joan or Joanna of Navarre was placed in the charge of Sir John Pelham where she was held at Pevensey Castle. She spent her time there from 1419, but was reprieved by Henry on his deathbed, possibly feeling remorse. She is now said to haunt the ruins, along with several other spirits. Being close to the site of the battlefield at Hastings, there have been reports of audio phenomena like that of men fighting and the groans of those who died in that terrible battle. Pevensey was originally a Roman Fort and comes complete with its own ghostly Roman soldier. Henry married Catherine of Valois in 1420, placing Henry in a very lucrative position as the marriage agreement made him heir to the French throne and in doing so cut out the King's son from succession. However, Henry did not live long enough to see this dream come to fruition. Having undertaken many campaigns, while both Prince and King, he was on one more quest when he fell ill with dysentery, and like so many soldiers of those times, died, and at the early age of 34. This left a young widow and an eight-month-old son as King of England. King of England 1422 – 1461 and 1470 - 1471. Born : December 6, 1421 at Windsor Castle, Berkshire. 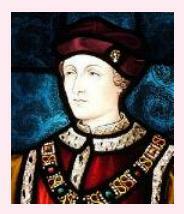 Died : May 21, 1471 at the Tower of London. Interred : Windsor Castle, Berkshire. Henry never knew his father with him and his brother, Thomas, Duke of Clarence dying while away at war in France. Henry was declared King at eight-months-old, causing a power struggle and disputes over guardianship. Henry V had named his brother, Humphrey as protector but Henry Beaufort, the Bishop of Winchester, gathered support in an attempt to take the power of Regency, almost bringing the country to Civil War. Henry Beaufort was also the son of John of Gaunt with his mistress Catherine Swynford, and although he and his siblings were legitimised on his parent’s marriage, an act was added that banned them and their line from the throne. At the age of seven, Henry was placed under the guardianship of Richard Beauchamp, Earl of Warwick who was set the task of teaching the boy the ways of a virtuous king who could hold his own in battle. A year later Henry went through the gruelling undertaking of a coronation, not just once but twice as two years later he was crowned King of France at a ceremony in Paris. This was part of the marriage deal made with Henry V, but this also cut out stronger contenders to the French throne and brought about an inevitable war in which Joan of Arc stirred up patriotism and the belief that God was on their side. Outright racism was preached from the pulpits giving the English to believe the French effeminate and deceitful, while the French were told the English had tails added to their arrogant nature. The war drained the country of its wealth and with the loss of France and Henry being King in name only, it brought riots and rebellion. Henry's mother had been forced into a convent, and at the age of thirty-six she died at Bermondsey Abbey. It was only then that a secret marriage to Owen Tudor, seven years previous, came to light. The Queen Mother had married without permission, giving birth to three sons and a daughter with her grandson, Henry later taking up the challenge for the crown. Acting as regent and named heir apparent on the death older his older brother, Henry's uncle, Humphrey, Duke of Gloucester had married Jacqueline of Holland, but after six years with no surviving children to inherit, in an unpopular move, he had the marriage annulled. 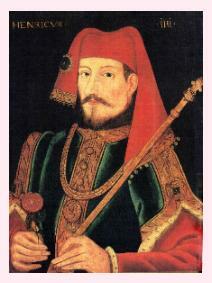 Humphrey then went on to marry his mistress, Eleanor Cobham. With those looking to overthrow Humphrey, three priests were executed and a known witch, Mary Jourdemaine burnt at the stake on charges of treason and heresy in using the black arts and astrology to forecast the death of the King. Eleanor would only admit to five of the twenty-eight charges made against her and she was forced to walk the streets of London with a lighted taper in penance. She was then divorced from Humphrey and imprisoned at Peel Castle on the Isle of Man where she spent the last 14-years of her life. Humphrey did not fare much better as six years later he was arrested on charges of treason but died before coming to trial. Though this was claimed to be natural causes, it conveniently got rid of an embarrassing problem and a contender to the crown. Henry grew up knowing nothing but being a king and being advised and led and that is how his rule continued until he finally had a mental breakdown. Lethargy set in that not even the birth of his son, Edward; seven months later could pull him from. And so with Henry being unfit to rule the council ran the country in his name. This brought claims of doubts on the Lancastrian succession going back to Henry IV. With the death of Humphrey, Richard, Duke of York, became next in line to the throne, but for the birth of Edward, known as Edward of Westminster, and like Humphrey, Richard regularly disagreed with the King's policies. Finally things came to a head with Richard and his supporters being declared by Parliament as traitors. This meant estates being confiscated along with disinheriting heirs. A series of battles took place with the banner of the Red Rose under Lancaster and White Rose the emblem of the Yorkists, this became known as Wars of the Roses. 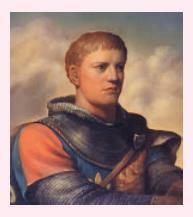 Richard, Duke of York was killed in battle at Wakefield and the torch was passed to his 18-year-old son, Edward. When things began turning in the Yorkist favour, Margaret and her son fled to France while Henry, often disguised as a monk moved from one safe house to another. Edward declared himself King and three months later was crowned at Westminster, much to the dismay of many of the barons who had always declared their devotion to the King and fought to rid him of those corrupt and bad advisers rather than deposing Henry VI. Richard Neville, Earl of Warwick had been a staunch supporter of the Yorkists, his daughter Isabel, marrying George, Duke of Clarence, but once Edward was King, they clashed, mainly over foreign policy. The Earl finally changed sides along with Edward's brother, George as they called for their supporters to take up arms. Edward, being King Edward IV for nine years, found himself seeking exile in The Haigh while Henry VI reclaimed the throne, being paraded through the streets of London in somewhat of a dazed state. Though Edward had fled with not a penny to his name, he soon gathered support and returning the following year, the battles at Barnet and Tewkesbury were dashing blows for the Lancastrians. Richard Neville, dubbed the kingmaker, having put two kings on the throne, and marrying his second daughter, Anne, to Edward, Prince of Wales, was felled at Barnet. And the biggest blow of all, especially for the Queen, came with the loss of her son at Tewkesbury. George saw the error of his ways and re-allied with his brother. 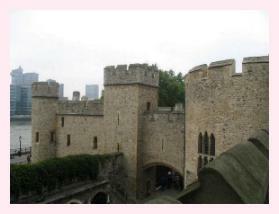 Henry VI was captured and placed in the Wakefield Tower at the Tower of London. Once Henry was out of the way with his only son and heir dead, nothing stood between Edward IV and his taking the crown of England yet again. Henry died at the Tower under mysterious circumstances, if that is what you can call cold-blooded murder. It is said that he was stabbed to death in his bedchamber where he now haunts. The times vary from 11pm to midnight on the anniversary of his death, though either way it’s when closed to the public. There is a belief that a murdered corpse will bleed in the presence of the murderer and Henry gave rise to this as witnesses reported the King's body had bled while lying in state at St. Paul's Cathedral. There were also stories of miracles associated with only the rightful monarch, making his graveside at Chertsey in Surrey a place of pilgrimage. The church condoned, keeping candles burning and setting up paintings and statues of the king. Even when Henry was removed and interred at Windsor in 1474, there was yet again claims of miracles and those mysteriously healed. He was made a saint by the people who were indignant to the way of his passing. 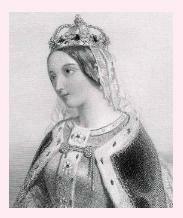 As for Henry’s queen, Margaret was held at the Tower of London until a ransom was paid by Louis XI of France, but this came in exchange for her inheritance, the lands of Anjou. Margaret returned to her homeland where she died in 1482. During the strains of war, Margaret spent some time with friends at Owlpen Manor prior to the battle at Tewkesbury, the Queen's Chamber being named after her. It was possibly the last time she was happy with a strong army giving an expectancy of victory, and that is the reason she is said to linger at the manor house. But it was not to be and Edward IV coming to the throne yet again meant an end to the Lancastrian succession.